Indu Subaiya is a visionary healthcare leader whose work builds community, creates dialogue and inspires us to radically rethink how health shapes our lives. Indu is Co-founder and President of Catalyst @ Health 2.0, the industry leader in digital health strategic partnering, innovation competitions and programs for piloting and commercializing novel healthcare technologies. In 2007, Indu co-founded and served as CEO of Health 2.0, a global conference platform and community for the showcase and advancement of new technologies in healthcare. Health 2.0's conference business was acquired by HIMSS in 2017 and in the two years post acquisition, Indu headed the organization as Executive Vice President. She continues as Senior Advisor to HIMSS, providing thought leadership and content advisory services under the office of the Chief Technology and Innovation Officer. Indu is a female immigrant from India and is a passionate advocate for an end to healthcare disparities and for increased diversity across the leadership ranks of the industry. 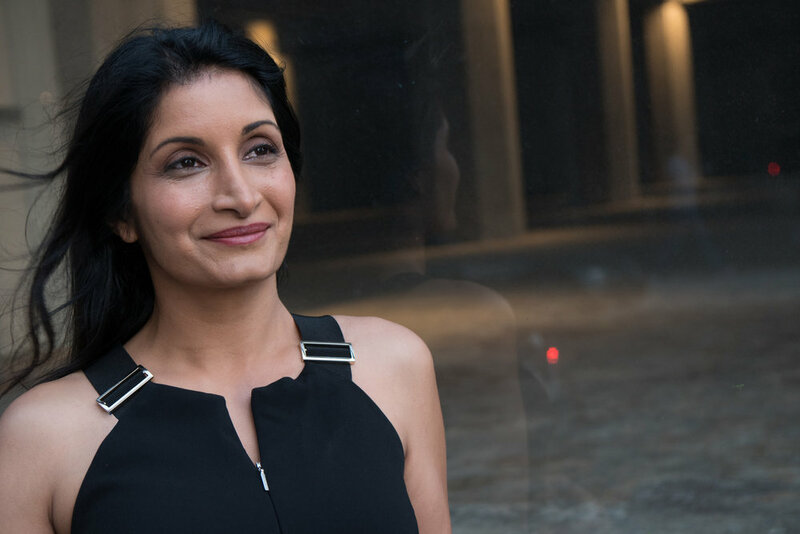 Recognized as an engaging keynote speaker, interviewer, and moderator, Indu has spoken or moderated at the Clinton Foundation Health Matters Initiative, the President’s Global Entrepreneurship Summit, Mayo Clinic Transform Symposium, SXSW Interactive, Cleveland Clinic Patient Experience Summit, IFC Global Private Health Conference, the upcoming Slush 2017, and others. She has worked with the Robert Wood Johnson, World Bank/International Finance Corporation, the New York City Economic Development Corporation and the California Health Care Foundation to design innovative health technology programs including healthcare specific hack-a-thons, developer competitions and pilot programs. In 2013, FierceHealthIT named Indu one of Health Information Technology’s Most Influential Women. In 2018, Indu was selected as a fellow of the Aspen Institute's fourth class of Health Innovators Fellows. Indu was born in Bangalore, India and grew up on Long Island, New York. A physician by training, she received her BS from Cornell University in Science and Technology Studies and MD from Stony Brook University. She came west to receive her MBA from the Haas School of Business at UC Berkeley, deciding to forgo medical residency in order to develop new healthcare dialogues and care models. Prior to founding Health 2.0, Indu was Entrepreneur-in-Residence at Physic Ventures, Vice President of Healthcare and Biomedical Research at Gerson Lehman Group and Director of Outcomes Research at Quorum Consulting, Inc. She has served as Vice President of the Society for Participatory Medicine and on advisory committees of the Department of Health and Human Services and National Health Data Consortium. She is an advisor to Parsley Health, Athletik, Patient Insight and Scentista. Indu lives in the Los Feliz neighborhood of Los Angeles with her husband and son. Upon arriving in California nearly two decades ago, Indu fell in love with the state’s diversity and creative culture. She looks forward to catalyzing the next generation of person-centric healthcare and continuing to serve the many interests of California’s dynamic residents and health care stakeholders.